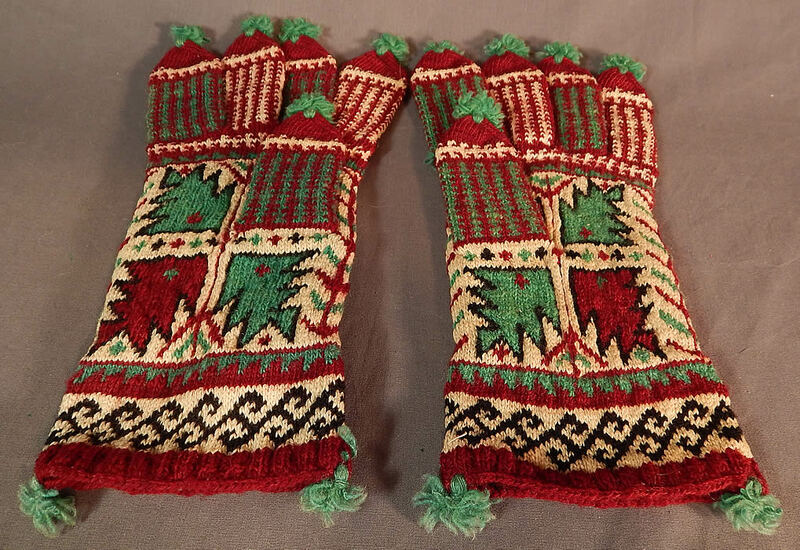 This pair of antique Turkish Ottoman colorful ethnic hand knit wool winter gloves mittens date from the late 19th century. 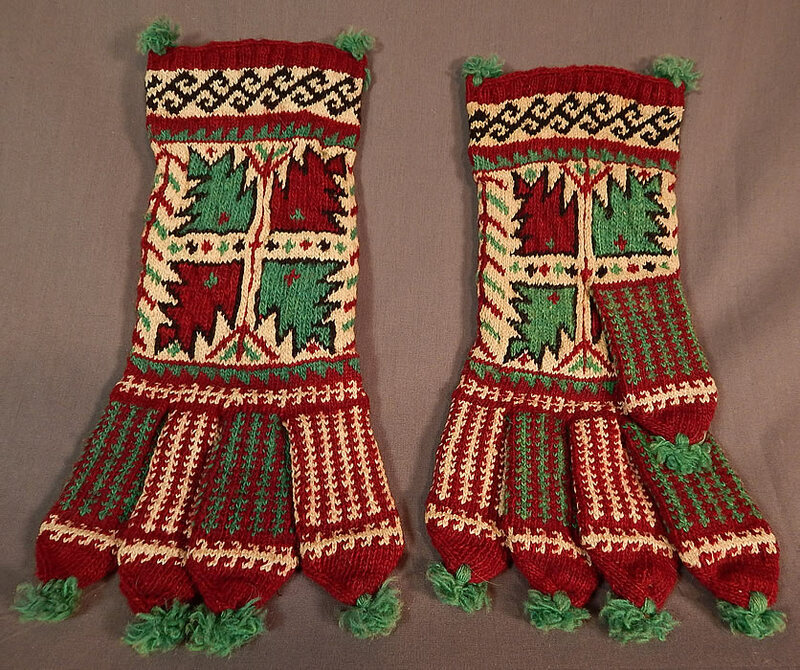 They are hand knit with colorful shades of green, red and white wool done in decorative ethnic abstract folk pattern designs. 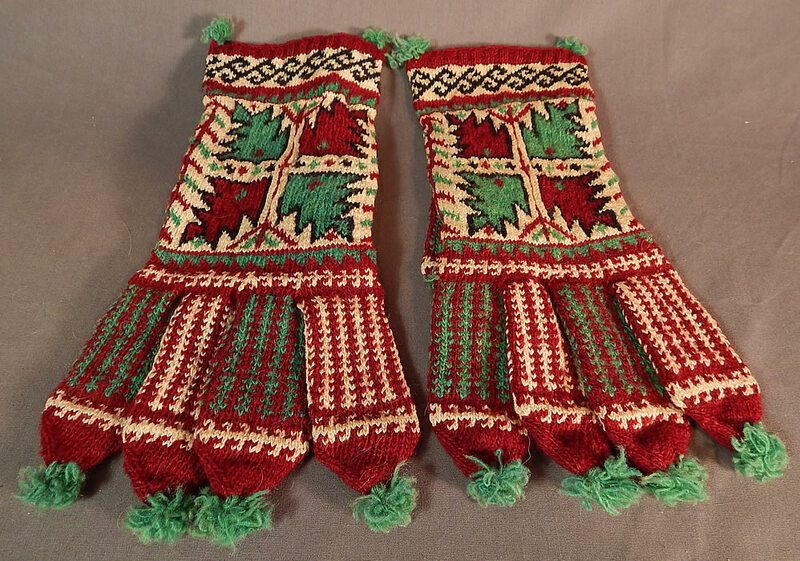 These wonderful winter wool gloves mittens have a decorative green pompom on top of each finger and at the wrist. These large size mens gloves measure 12 inches long, with 3 1/2 inch long fingers and is 4 1/2 inches wide at the wrist. They are in excellent condition and appear to have never been worn. 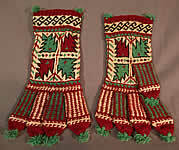 These are truly a rare and wonderful piece of wearable antique Turkish Ottoman Empire hand knit textile folk art!